Hello Loves! I have another Bundle Monster Cancun Collection to show you today. 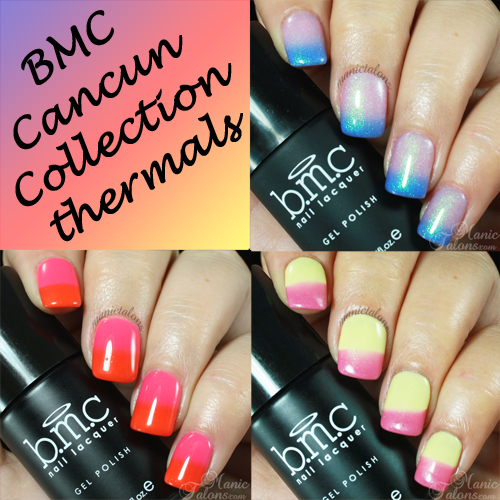 Cancun consists of three fun, thermal shades: Sweet Azul, Viva la Fun, and Tequila Sunrise. Ready to see them? Sweet Azul is a soft, pinkish purple shimmer when warm that transitions to a gorgeous shimmery blue. This one uses the greenish shimmer that is present in several of the BMC thermals from recent collections. I found this on to be a tiny bit sheer in the warm phase but the coverage is great in the cold phase. This is two coats over a clear acrylic overlay. Viva la Fun is my favorite polish in this collection. 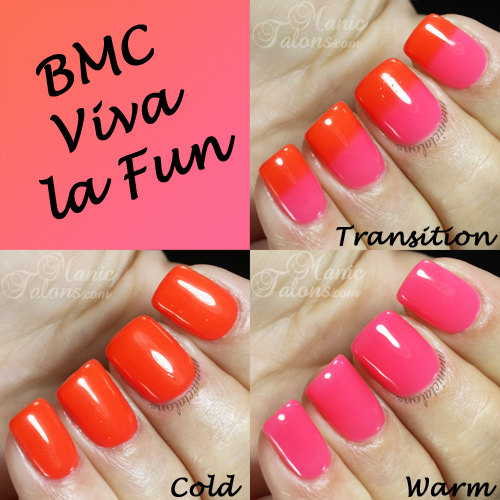 It starts as a bright pink when warm and transitions to a gorgeous coral when cold. 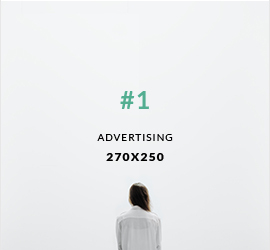 Coverage is fantastic in two coats. I screams warm weather and sandy beaches to me. Just look at her! 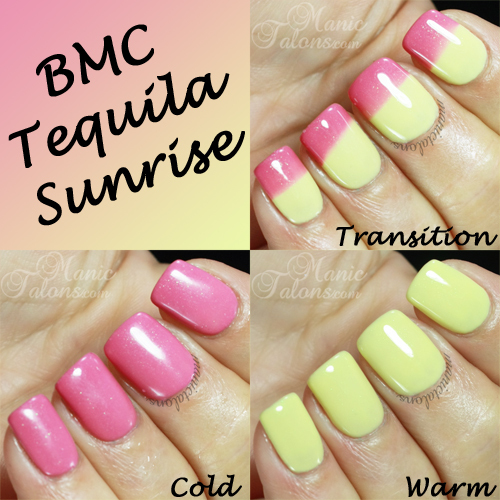 Finally, Tequila Sunrise is much like the drink! It starts as a pale yellow with a subtle shimmer when warm (so subtle it appears to be a cream) and transitions to a beautiful muted, shimmery pink when cold. I found that I needed three thin coats for even coverage with this one, but two normal coats would probably work as well. I adore the contrast between the cold and warm phase and how the shimmer comes alive with the pink! The effect of cream to shimmer is unique to any thermal I've seen so far. What do you think of these beautiful BMC thermals? I continue to be impressed by the BMC formula and creative color combinations. 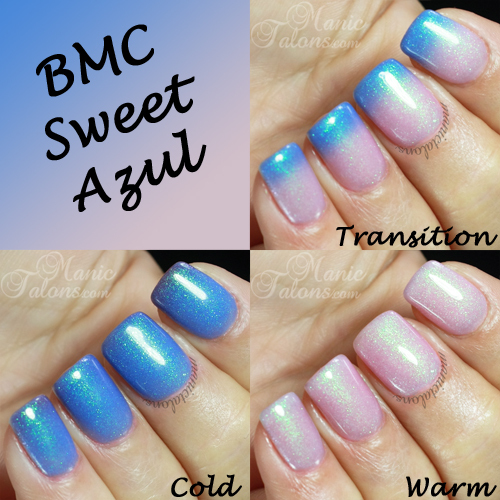 The Cancun Collection Thermals are available on Bundle Monster's website here as a set (they are also listed individually but appear to be sold out at the moment on Sweet Azul and Viva la Fun). You can also find them on Amazon here (all colors appear to be in stock through Amazon). 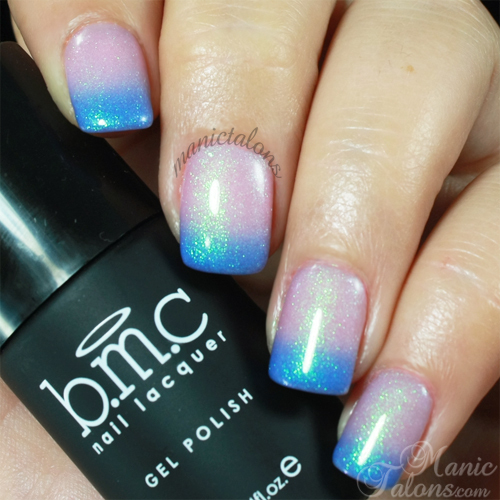 *The BMC Gel Polishes featured in this post were provided by Bundle Monster for my honest review. This post uses Amazon affiliate links. Purchases through these links generate commissions that help fund this site. All other links are courtesy links and do not benefit ManicTalons.com. A lot of their stuff is out of stock on their website, but available on amazon! Thanks for the tip, I've been waiting for one of the thermals from the sedona collection to come back into stock for ages. I love my BM gel thermals! Excellent value and fun colors. Fantasia is a darker blue with more of a white warm color and Sweet Azul is a lighter blue with a pinkish/purplish warm color. They are simiar, but Sweet Azul is warmer toned. I ordered Sweet Azul and I'm wearing it right now. The label on the bottle looks like pink transitioning to purple. The actual polish is pink (warm), lilac (cool) and purply brown (maroon?) when cold. It can be between 0C and -30C (32F - -22F) and in the first minute of going outside, my nails will occasionally show all three colours. Your cold pictures shows a bit of a deeper blue on the index finger. I guess they changed the formula. It was quite warm here when I swatched these, so the deepest color may not have shown on my nails. I am finding that many of the BMC thermals have a hidden color that only shows up at below freezing temps. I'm a little surprised that yours looks purplish in the cool phase though. Mine was definitely blue.